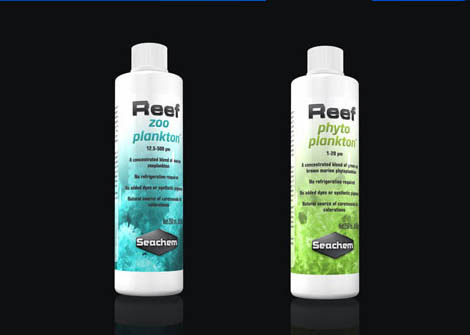 Remember back in march when we told you that Reef Phytoplankton and Reef Zooplankton added to Seachem Reef Line? Well, the company announced yesterday, that both products are shipping out. The concentrated blends of green and brown marine phytoplankton (Reef Phytoplankton) and marine zooplankton (Reef Zooplankton) where designed to provide essential fatty acids, proteins, vitamins and amino acids for our captive reefs.